Symphono is a custom software development firm headquartered in Chicago that has served many clients across the globe since 2002. 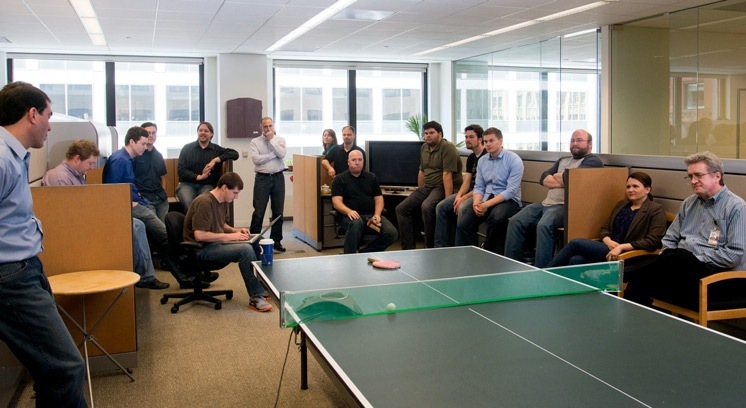 Our founder, David Zaret, formed Symphono by bringing together a team of people who have worked in all aspects of software delivery to provide a specialized and focused approach that tackles the many technical challenges that firms face daily. At Symphono and in previous roles, each member of our team has contributed to solving complex problems and creating scalable, enterprise software systems. From a large trading system used to generate profits at a world-leading bank, to an Android app that allows millions of users to watch live network TV, we have had our hands in the code of many diverse technologies. Every person on our team can code (seriously), but that doesn’t mean they will be writing your software. When Symphono tackles a new challenge for a customer, we approach the problem from the perspective of a complete delivery team. Our diverse staff provides direction on all aspects of delivering a technology solution, including architectural design, implementation, quality assurance, training and management of the whole process to provide our clients with a transparency into the health and progress of their project. Instead of providing a single senior engineering lead to manage a large junior team of developers to create software, we believe in an inverted approach to providing technology solutions. We provide smaller teams of experienced professionals that are capable of moving faster to design and develop solutions that serve today’s business needs and are flexible enough to be easily augmented to meet tomorrow’s needs as well. Many of our largest customers choose Symphono because our small and experienced team is able to produce more and faster than large internal development groups. We’re always eager to dig into a new problem. Contact us if you’d like to hear how we could provide a technology solution for you. Dave Zaret founded Symphono in 2002 and is an industry leader in financial collaboration technology. In the 10 years since Symphono started, Dave has created a team with deep expertise in collaboration services and financial services technology generally and has built the company into a strong and growing presence in those markets. He started his career at Swiss Bank/O’Connor in Chicago, developing real-time arbitrage and risk management systems and soon led the firm in developing and evangelizing uses of emerging technologies. One of the solutions to emerge under Dave's leadership was a collaboration platform which was widely adopted, both inside UBS and among its buy-side clients. That technology ultimately transferred to a newly formed company, Parlano, of which Dave became the CTO. The core technology he developed at Parlano was ultimately acquired by Microsoft and became the group chat module inside Microsoft Lync. Dave holds a B.S. in Mechanical Engineering from the University of Michigan. Adam joined Symphono in 2008 to help in the management of the firm. Throughout his tenure, Adam has taken on many different responsibilities including strategic and financial management and planning, trading product development, business development and client relationship management, and software engineering. He began his career at Swiss Bank/O'Connor, developing market and credit risk management systems in Chicago and London. After helping to found the IT Business Development team, he finished his time at UBS as an advisor to the Technology Investment Banking team in San Francisco. More recently, Adam worked as a portfolio manager at a small Chicago family office, overseeing public and private investments in public equity, private equity, venture capital and real estate assets. He then founded and managed Fair Deal Credit, LLC, a proprietary investment partnership. Adam holds a B.A. in Economics and Political Science from Northwestern University, and an MBA with Honors, from The University of Chicago Booth School of Business, where he was the 2005 Gary S. Becker Distinguished Fellow. We not only believe in delivering quality products but also in quality employees. Our team includes senior-level development engineers, quality engineers, project managers and technology strategists with decades of combined experience. Working with Symphono means a professional and seasoned team of people who share a passion for technology. Please Contact Us to hear more about our opportunities.